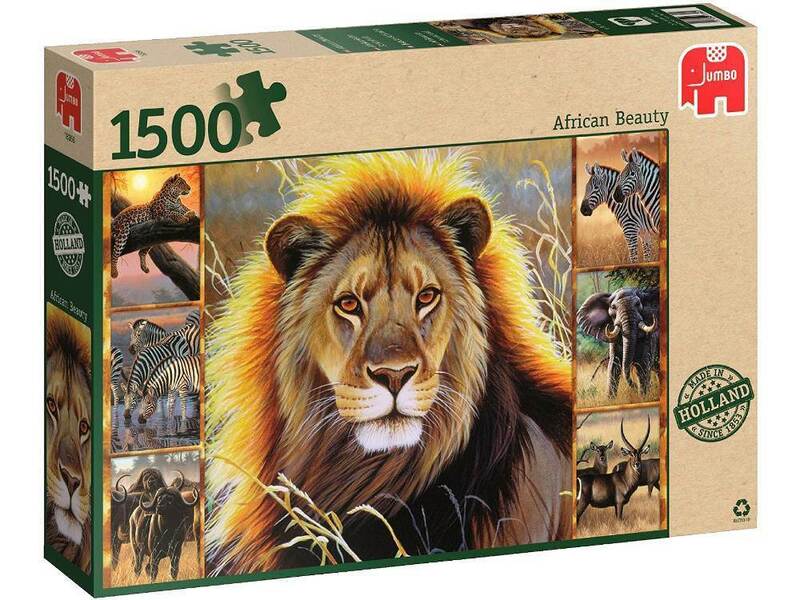 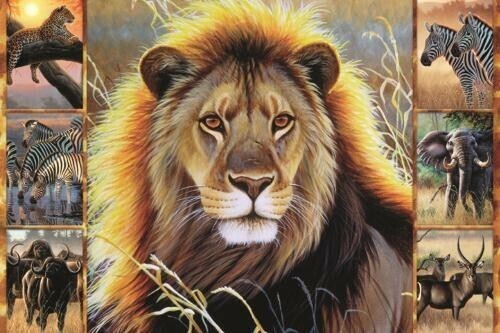 African Beauty is the title of this wonderful Jumbo 1,500 piece jigsaw puzzle. 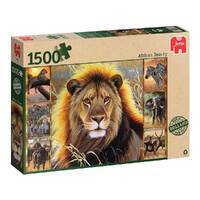 The puzzle image is a montage of iconic native African animals in their natural habitat. 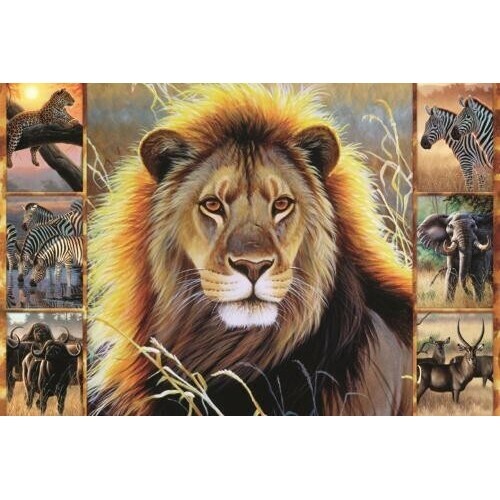 The puzzle features the King of the African jungle the Lion, followed by Zebras, Elephants, Waterbuck Antelope, African Buffalo and a Jaguar.